In today’s ever-challenging and changing job market, it’s important that job seekers are equipped with the right tools and skill-set to maintain a competitive edge over other candidates. With new “buzzwords” and trends out every day, this is especially true of those looking to stand out in the Digital Industry.With this in mind, every so often we’ll be doing a showcase of Five to help you get your foot in the door well before you even apply for the job! In today’s article we’ll be featuring Five Apps to help you get a job by making you more desirable to potential employers. The so-called swiss army knife of the digital recruitment world, LinkedIn packs quite a punch for a single platform. It’s accessibility makes it one that is favoured by both job seekers and employers alike (Touchpoint seal of approval). What’s more impressive is that all of this is packed straight into a social networking website and it’s totally free to download and install! For those wanting to make an impression and present a well rounded online presence, LinkedIn is your friend. Packaged into it’s very user friendly and aesthetically pleasing interface is an Online CV, Employer References, A Job Search engine and Portfolio (to display your best work). I know what you’re thinking, this one’s a bit out there but bear with me. Let me paint you a picture, you’ve been asked for an interview as web developer and in the interview you find out that the morning, a tech firm announced the next big product to revolutionise web development. In moments like these being in the know of these things can be an ace up your sleeve that just might secure you the job. With the Digital Industry being what that is in a constant state of influx and change, it bodes well to be in the know of what the topic of conversation for the day is. This is where Newsreaders like that of Flipboard come in handy. With a high level of customisation and push notifications to alert you on any headlines or breaking news in your field of interests, Flipboard is a must-have in your arsenal. What makes this app even more relevant to those in the Digital and Tech industry is the app’s ability to track and curate magazines based on #Hastags or RSS feeds of your choice! Apple Store: Various News Readers available for the iOS platform. The global marketplace in which we live, it is now increasingly useful to be a skilled conversationalist and linguist than ever before. You don’t necessarily need to be fluent in this second-tongue to boost your chances at securing that job either. In 2009, The Confederation of British Industry (CBI) found that as much as 74% of employers are just as likely to recruit applicants with conversational ability in another language as those who are word perfect. The belief that this can help break the ice and deepen cultural understanding between partners and strengthen the employer-employee relationship means that businesses now have access to new markets. Now all that is well and good, “But who has the time to learn another language” you say? This is where Duolingo is a cut above your average Rosetta Stone. Duolingo’s innovative lesson plans and content structuring means that you are able to squeeze in a five-ten minute lesson or a refresher course in on your morning commute. Boasting 19 languages and an impressive amount of language progression and intelligent gamification (video-game like elements), makes this a highly addictive and fun way to improving your Resume and killing time on your commute. As if, all that wasn’t enticing enough Duolingo is currently rolling out a certification program for its language courses, one’s akin to the likes of TOEFL or any other ones recognised by Institutions. Much like the need for a news reader to stay up-to-date on all things Digital Industry, Twitter provides a more real-time alternative for those who want to be in the center of the action and watch as it unfolds. With push notifications, the ability to track hashtags and to get short bursts of timely information Twitter is an excellent tool to fill in the gaps of your knowledge that news readers may miss in their coverage . Aside from being an excellent tool to have in your employability app repertoire, it is also a social media platform – One that allows you to share content, follow industry leaders and potential career stakeholders and search job updates from your target employers. With Twitter being the top social media platforms (after Facebook) that employers often stalk before interviewing people, it is worth noting that sharing and engaging with the topics that interest you in the Digital Media and Digital Industry will work in your favour (especially if you manage to build a following while doing so). 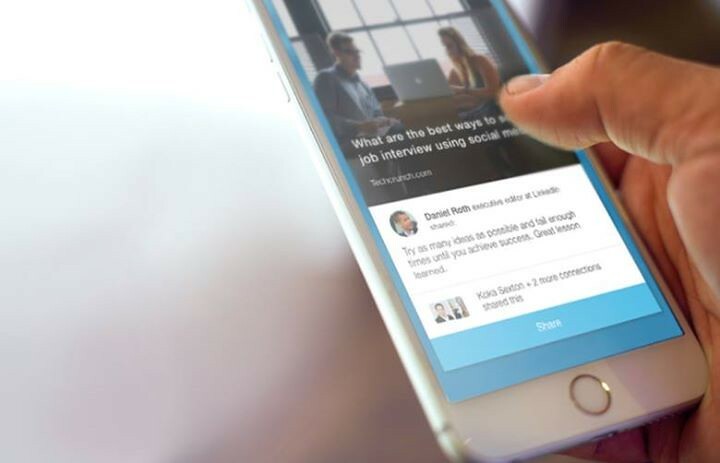 Interviews are as much about you as a potential employee as it is about the company you are interviewing for, this is where Glassdoor fills a niche in the world of employment focussed apps. Glassdoor’s Salaries & Reviews app is the job seeker’s best friend and an absolute must have to have the upper hand in your next interview. The app not only tell you what job’s the company or employer has on offer but also helps you in gaining access into the inner workings of a company. It showcases salaries (both expected and what a position of the sort should offer), employee retention rate, interview tips, experiences by employees (both current and former). With this information readily available to you, you can better predict whether a particular company is right for you and if choosing to stay with them is beneficial for your career advancement.